A couple of weeks ago I described a fun trip we had taken, but I didn’t talk about how it ended, which was not as fun. When Fluffy and I were driving to Atlantic City we saw a farmer’s market just as we crossed into New Jersey. We stopped to take some pictures and saw some of the prettiest tomatoes we ever did see. In the interest of full disclosure, I have to admit I am not a fan of tomatoes. I have never liked tomatoes. But these tomatoes had us fantasizing, and Fluffy and I made a point of stopping on the drive home to pick some up. 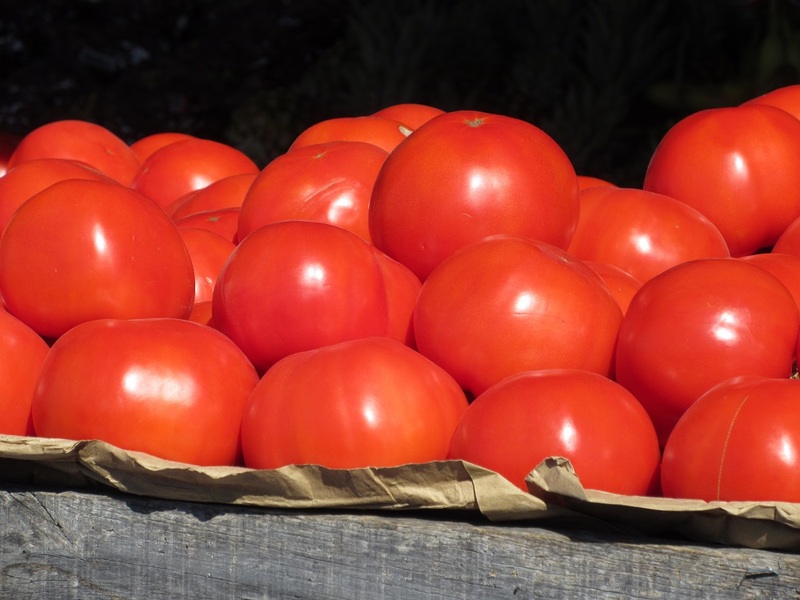 Some tomatoes can make a tomato-lover out of the most jaded tomato-hater. Fluffy picked up six tomatoes, plus a basil plant and a big basket of yams. We decided to make a whole bunch of BLT sandwiches, plus some insalatas caprese. So after Fluffy got in the car again, I got a pen and paper and started making a grocery list. Next we only had to determine where we would stop on the way home in order to get the best baguettes and the nicest mozzarella cheese. As we crossed the bridge into Delaware, however, my body started giving me different marching orders. I got a sudden and severe case of the chills, and the chills always mean one thing: I need to get to the hospital, fast. Instead of choosing the best supermarket, the question quickly became whether to go to my regular hospital or the Reston Hospital, which was closer. The Reston Hospital won out. We didn’t even stop at home to offload the tomatoes and our other trip treasures first. I’m never exactly sure why I’m in the hospital, mind you – except for the fact that my body loves infections, and seems to want to collect them all. The word I heard most often this time was “sepsis,” but I also heard “cellulitis” more than once. 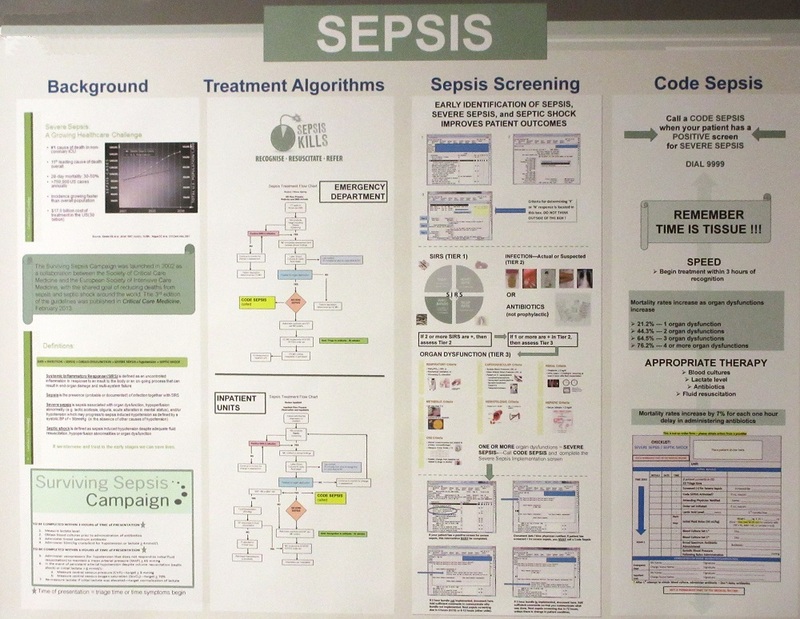 A poster in the hospital hallway happily proclaimed that sepsis was the infection du jour. It also pointed out that I was on a countdown once I got it, and perhaps it was a good thing we had headed straight for the hospital without dallying at home first. I checked in on Wednesday. By Sunday, I was going stir-crazy. Those tomatoes were calling my name, to say nothing of the time I was losing with Fluffy at home, and the work I should have been doing but that was being done by others. So when I was promised a Monday discharge, I was pretty excited. 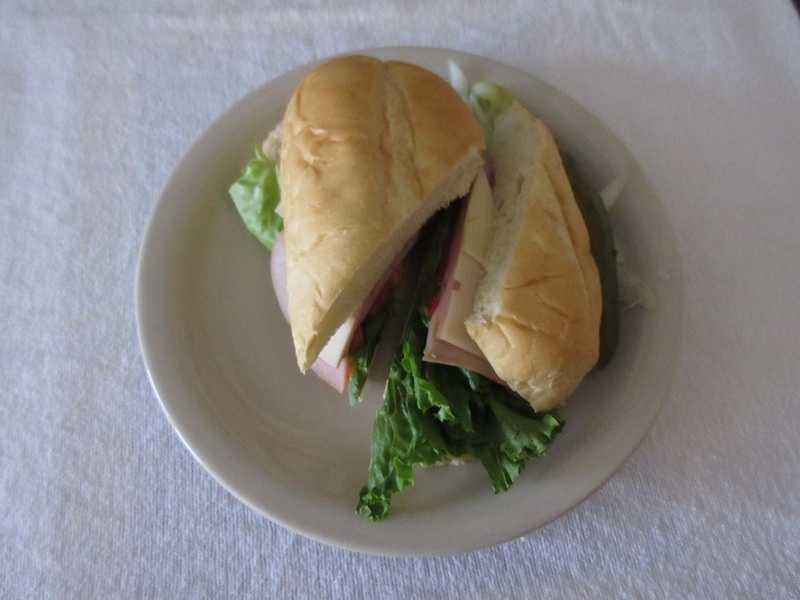 The hospital sandwiches I was served were a pathetic substitute for the Fluffy-made BLTs I had envisioned. Of course, promises made in hospitals are made to be broken. Monday I awoke with a hacking cough. I do not cough gently. My coughs come up from my toes. I waited to get discharged. When I did not get discharged, let’s just say Fluffy did not take the news gracefully. Although Fluffy did not take the news with good cheer, the doctors were more than excited to keep me. Whichever doctor was on charge that day decided to shoot the medical big guns at me, and I was suddenly bombarded with a pharmaceutical salvo that was the equivalent of nuclear war. My body responded in the only way it knew how. It came up with a whole new host of symptoms, and then the doctor who was in charge the next day responded with his favorite drug, which (of course) was administered in addition to the drug that had been prescribed on Monday. Every day I got worse and worse and worse. The doctors just saw me as getting sicker and sicker and sicker, so they kept piling one drug on top of another. I was getting closer and closer to death. Fluffy and I had a different perspective altogether. We decided that just maybe it was the drugs that were making me sicker, and that if I didn’t get out of there soon, I was only going to leave that hospital in a pine box. I didn’t finally escape until Friday — nine whole nights after I had first checked in. 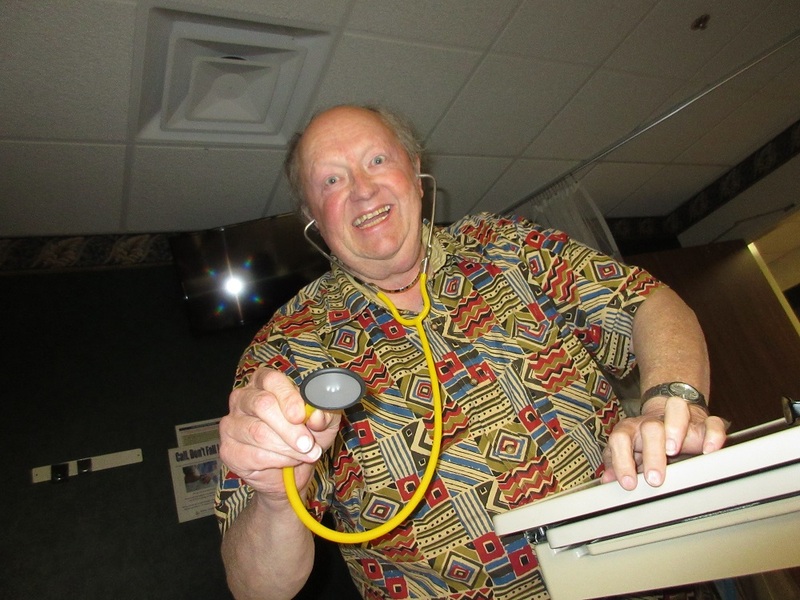 By then I had been diagnosed with atrial fibrillation, a lifelong heart problem (or so the cardiologist would have me believe). Fluffy and I suspect that as soon as the drugs are out of my system, all these weird things are going to go away and I’m going to be back to normal, or at least what passes for normal on Planet Kathy. As far as hospitals go, I really liked the one in Reston. I had a great bed in a private room, and the nursing staff was stellar. I think it is my new favorite hospital, although I don’t want to return there any time soon. But I longed to have a doctor who looked at Kathy as a whole person, and not as a heart or a set of lungs or an immune system. It just didn’t happen. But there wasn’t a patient advocate. Instead there was a lung doctor prescribing prednisone and a heart doctor panicking and deciding I had a permanent, debilitating heart problem. It took Kathy going home and checking the internet to see that prednisone, sure enough, can cause atrial fibrillation. What I needed was a mad Dr. Fluffy who looked at the whole Kathy, instead of just my heart or my lungs. Why didn’t the hospital know that? Because doctors have tunnel vision, that’s why. They are trained in their own area of expertise, and they don’t have time to focus on the big picture. As far as the cardiologist was concerned, the diagnosis of atrial fibrillation was the important thing. How I got it was immaterial. He was interested in what was happening with my heart. The rest of Kathy was a bag o’ flesh surrounding my heart — something that said hi, and that answered his questions as he asked them. We got along just fine, but the heart was the bottom line as far as he was concerned. There were a lot of blind doctors in that hospital. All of them worked hard on me, but I don’t think any of the doctors saw the whole elephant, even though I was lying there in the bed for all of them to observe. Selective vision is part of the human picture. We look at others and think we know what is going on in their lives, but we are woefully ignorant. We judge them based on our limited understanding, but we only see bits and pieces. We never see the whole thing. It is only God who sees us completely. It is only God who knows us from the inside out. The next time I am tempted to nod my head sagely and think I know what is going on in the mind or the heart of another, I hope I remember the doctors in the hospital — each of whom looked at a small piece of me and thought he knew the whole.